The air we breathe is composed of 79% nitrogen. This N2 gas in its purer form provides a number of uses in a wide range of applications. Nitrogen gas is often used in corrosion prevention, purging, eliminating bacteria, modified atmosphere packaging, creating a clean, dry, and sterile environment, and much more. With so many uses and benefits to using nitrogen, the question is: How do you make nitrogen gas? 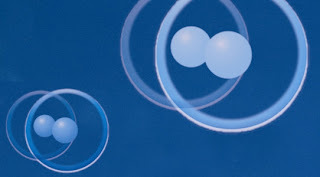 How do you separate the molecules of N2 gas found in the air and capture them for use? And the answer is: Leave it to your friends at South-Tek Systems, the leading manufacturers of nitrogen generating systems worldwide. South-Tek Systems specializes in engineering and manufacturing nitrogen generators with the purpose of producing high purity N2 gas that can be captured and used for any number of applications. They use simple Membrane technology or PSA technology within the generators to make this happen and then connect the generator with a tank for storage. Nitrogen generators are safe, reliable, easy to operate, and require low maintenance. The experts at South-Tek Systems use their Flow Verification System to size up the proper generator for your specific requirements, ensuring that you have the optimum purity and output necessary for the application. With a Nitrogen Generator installed at the point of process, our clients can eliminate the need for gas company contracts and delivery, high pressure cylinder storage and handling, and the costs associated with using high pressure cylinders as an N2 gas source. Our Nitrogen generating systems are easy to maintain, requiring only a routine filter replacement, and have a return-on-investment (ROI) of approximately 18 months. Contact the experts at South-Tek Systems to learn how a Nitrogen Generator can benefit your business - save time, money, and make your process more efficient! Call us today at 888-526-6284.